Home Tennis What is Nadal pursuing that nobody has achieved in the Open Era? What is Nadal pursuing that nobody has achieved in the Open Era? The Spaniard, at 32, can be the first tennis player to win twice the four Grand Slams. Before, they were achieved by Emerson (1967) and Laver (1969). Rafa Nadal, at 32 years old, can become the only player in the Open era (since 1968, when the division between professionals and amateurs ended) in conquering twice the four Grand Slam. To do this, he must win Novak Djokovic . Previously, it was achieved by the Australians Roy Emerson (1967) and Rod Laver (1969, but with some of the victories achieved before the opening of the open era). The first won six Australia Open, two Roland Garros, two Wimbledon and two US Open and The Rocket reigned three times in his country, two in Paris, one in London and two in New York. Eso, especially, because Roland Garros has a private preserve in which he has lifted the Musketeers Cup on eleven occasions since 2005. He only opened the door to Novak Djokovic in 2016 after retiring injured in the quarterfinals; to Stanislas Wawrinka in 2015, when he lost to the Serbian in the semifinals in an ill-fated season in which he admitted suffering "anxiety"; and in 2009 when stumbling against Robin Soderling in knockout eighths of the knees and ended up wearing the Roger Federer trophy. El balear luce eleven Roland Garros, three US Open, two Wimbledon championships and one from Australia (2009) . "Nadal and Djokovic are in position to get the Grand Slam in a year. 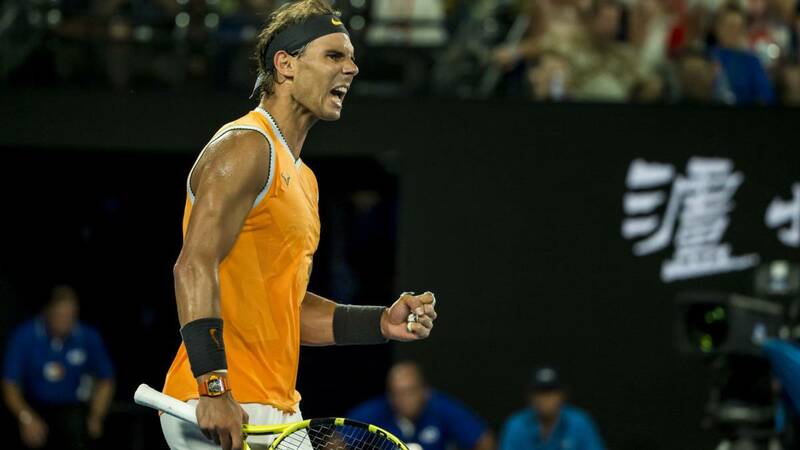 For others it's almost impossible, because you have to beat Rafa in France, "said Rod Laver these days about the possibility of someone getting his feat of completing the Grand Slam twice in a calendar year (1962 and 1969) .